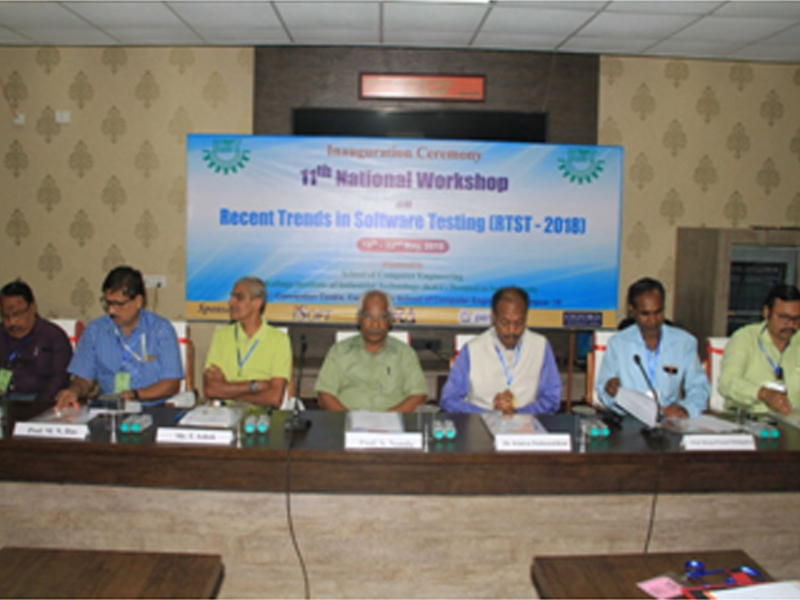 This workshop provided a platform for discussions on theoretical and practical aspects of advanced software testing, exchanging research ideas and challenges, exploring possible solutions as well as future directions. This was in fact, the 11th workshop of the series. The primary objective of the workshop was to bring together researchers and practitioners both from academia and industry. The workshop particularly included invited lectures on recent advances in software testing. The invited lectures mainly focused on the areas such as MC and DC testing, con-colic testing, model based testing, object-oriented testing strategies, regression testing, test case optimization and prioritization, testing of web, SOA and cloud based applications. During the five days of the workshop, the invited talks were delivered by experts from IITs, ISIs, faculty members of NIT, Rourkela, experts from other sister NITs, KIIT & other leading institutes and experts from industry. While the Keynote Address was given by Dr. Srinivas Padmanabhuni, Eminent Entrepreneur & President, ACM iSOFT, India,Talks were delivered by industry experts from corporate giants like TCS, Infosys, Stag Software and LDRA. Among the distinguished speakers, Mr. T. Ashok, CEO, Stag software, Bangalore; Dr. A. Pasala, Principal Scientist, Infosys, Bangalore; Prof. Swapan Bhattacharya, Ex-Director, NIT, Surathkal ; Mr. A. K. Nishanka, TCS, Bhubaneswar; Dr. Lov Kumar, BITS Pillani, Hyderabad Campus and Dr. Rasool Maghareh, NUS, Singapore graced the workshop and delivered their talk on the theme. For the first time the workshop introduced two new events namely Innovative Project Ideation and Panel Discussion. The main objective of these two new tracks was to align the software testing platform with the current changes in the industry. The participants were given hands on software testing using tools such as RFT, JaBUTi, Test Complete, J Meter, Jumble, SOAP UI, LDRA Testing Tool, etc.